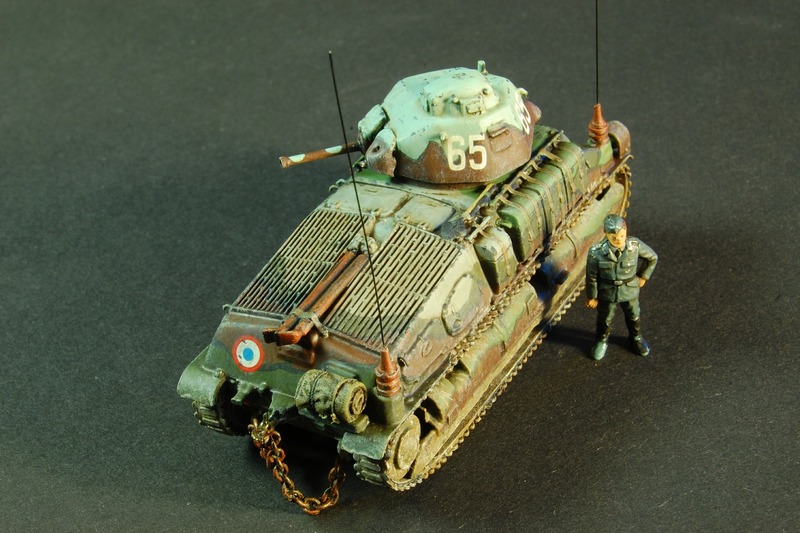 The first of my vehicles for the French army for 1940. Platoon Somua S35, scale 1:72, Heller company. Setting these tanks was torment. Elements does not fit to each other at all, especially the bottom of the hull. If I did not use the bases, models would probably fall apart, because the bottoms are basically gone. These elements were so twisted aso I could not properly glued them to the rest of the hull. The pins for fixing the turrets are very short and will require elongation, because the turrets are still falling in transport. After finishing the models, however, they are very cool, I also trained French camouflage on them. Each tank was named Pati, Moni and Marti. It will be easier for me to write AARs using the names of my own tanks. Girls from my unit are also happy - no one has ever called tanks, even plastic ones, from their nicks. Thanks for the additional informations. Inspite the tanks are looking good to me, as well. Nice work, Sowabud. 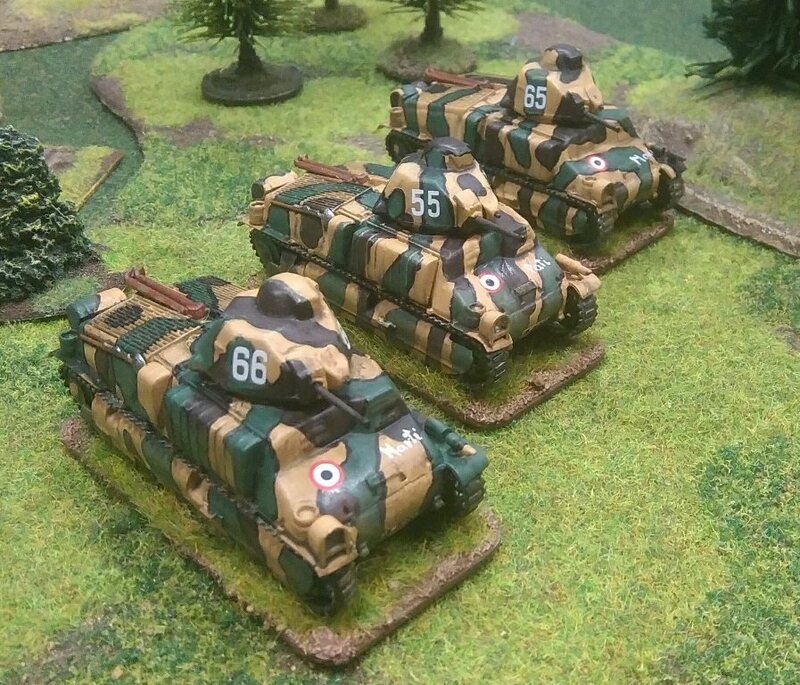 The French camouflage patterns are very interesting and almost outrageous, with lots of beautiful and colourful optrions for modellers. You also did a creative swap with the turret numbers. I dont remember the problems you mentioned with the Heller S35 kit. I only rember the tracks were very tight.